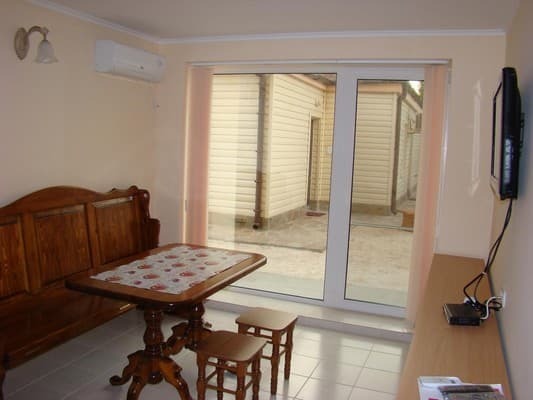 Guest house "Domashny" is located in Genichesk, the distance to the Sea of ​​Azov is two minutes walk. 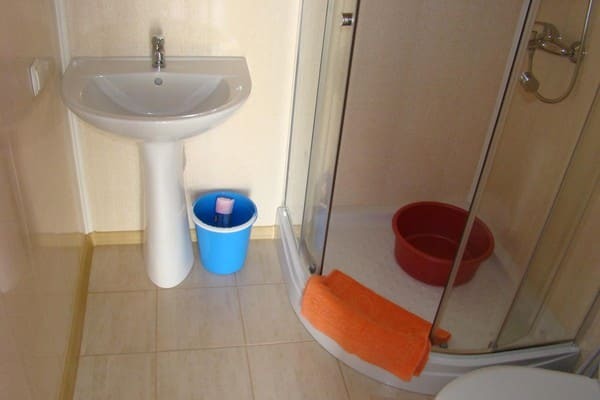 There are such types of rooms as: a double with a large double bed and a bathroom, a suite with three bedrooms and an improved family room, where there is a twin bed, a single. For a comfortable stay guests are provided with a number of services: free wireless Internet, parking space, transfer and laundry. 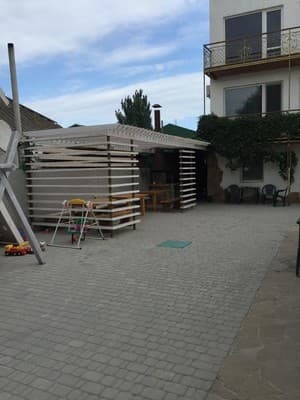 Equipped with a place for smoking, there is a street fireplace, a special children's playground. There are also separate rooms for non-smokers. 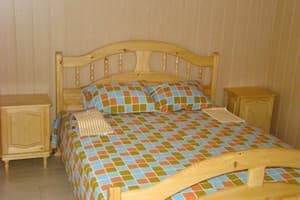 All rooms have the necessary furniture, one air conditioning and a TV. 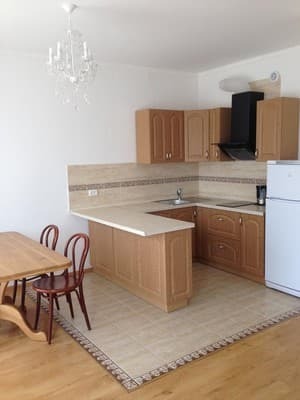 The shared kitchen is also equipped with the necessary set of utensils, for cooking and eating food, and appliances. Nearby are catering, shops, supermarkets, a market. Cleaning in the rooms, changing of bed linen and towels are held regularly and qualitatively. The hotel staff is responsive, friendly and competent. To get to the hotel "Domashny" you can order and discuss the pre-transfer, the service is provided free of charge. Either on a local minibus or taxi. The distance from the guest house "Domashniy" to the nearest store is 10 m.
There is a grocery store 10 meters from the hotel. 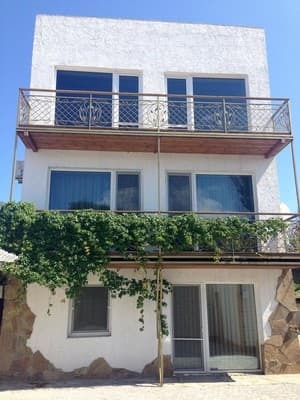 Guest house "Domashny" is located in Genichesk, the distance to the Sea of ​​Azov is two minutes walk. To get to the hotel "Domashny" you can order and discuss the pre-transfer, the service is provided free of charge. Either on a local minibus or taxi.